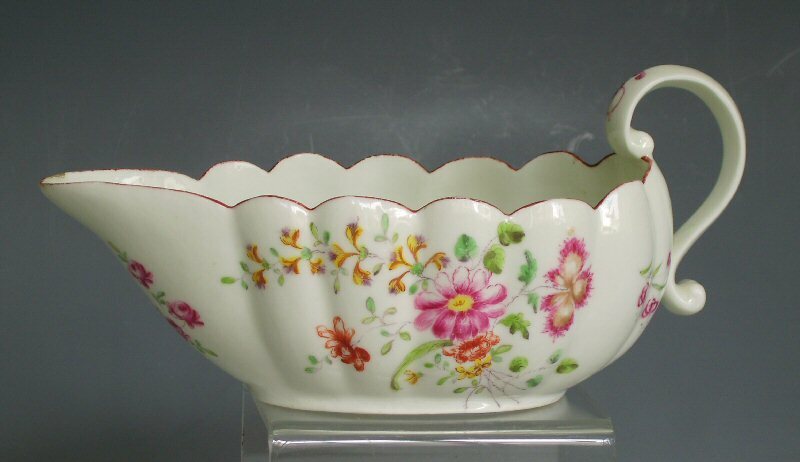 Home / Derby / Derby porcelain fluted sauceboat with scroll handle. Derby porcelain fluted sauceboat with scroll handle. Finely painted with colourful flowers.